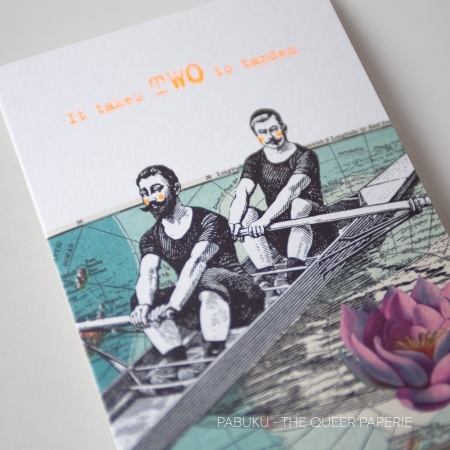 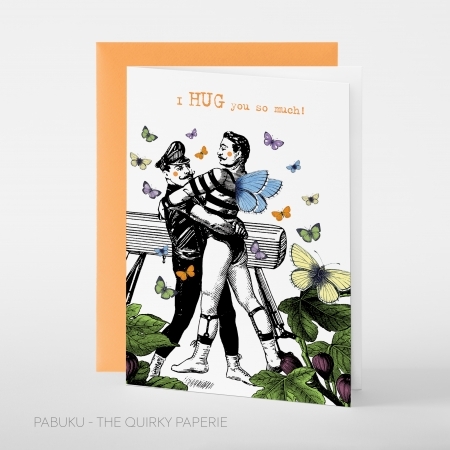 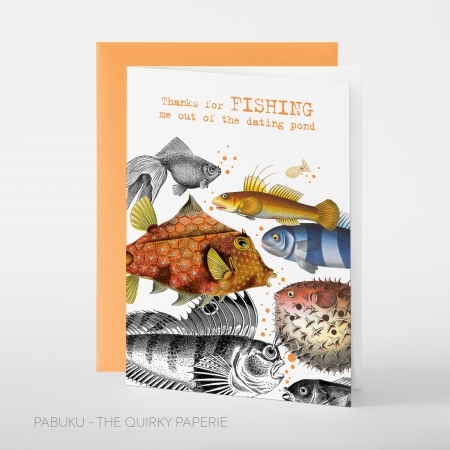 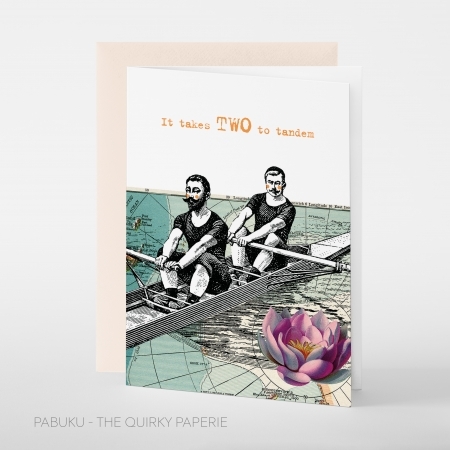 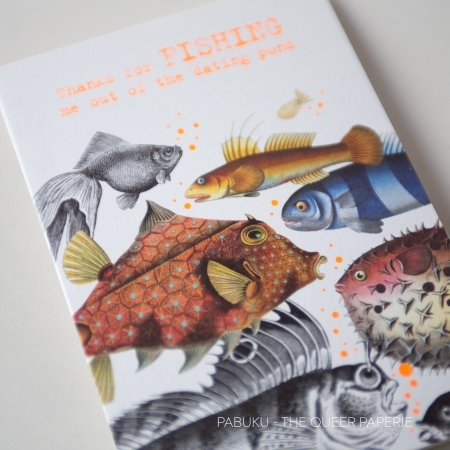 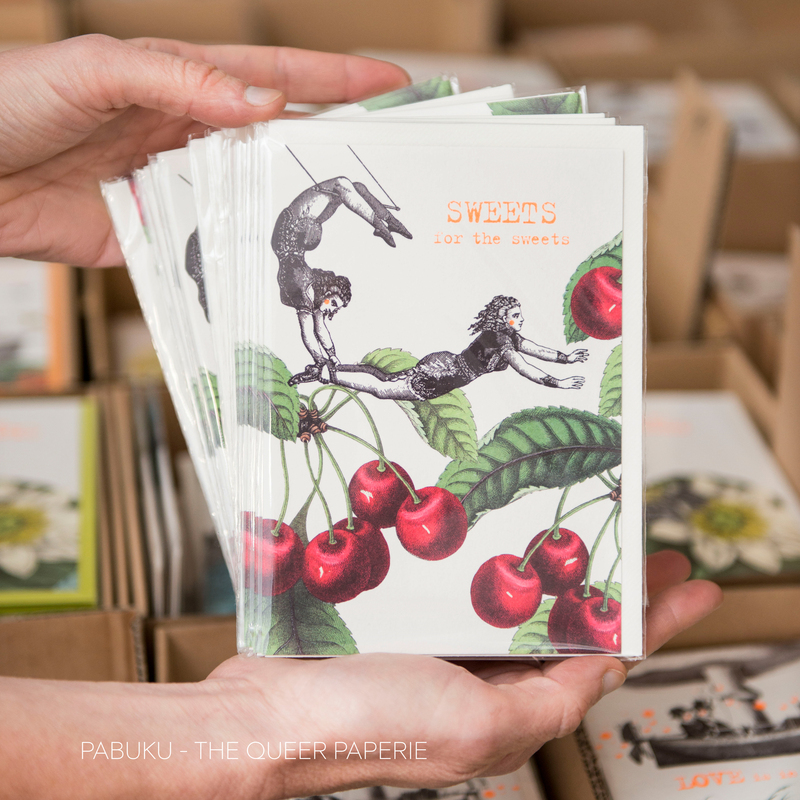 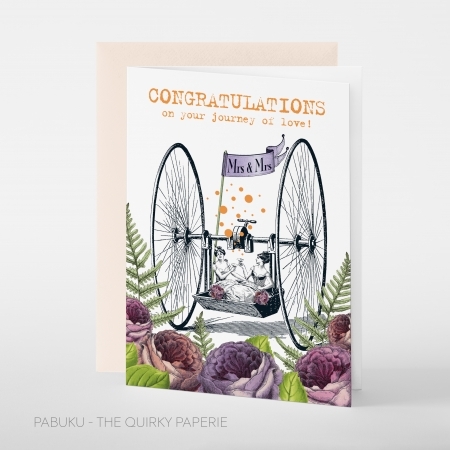 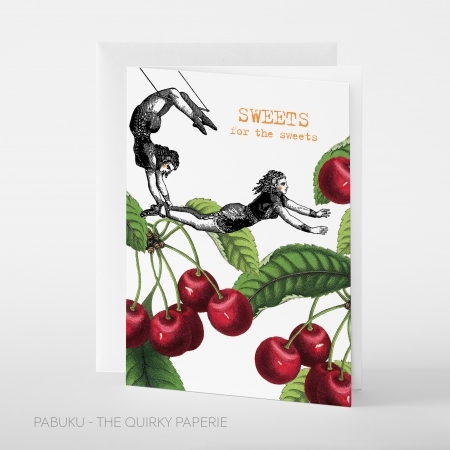 A perfect card for a sweet couple or sporty aerial acrobats. 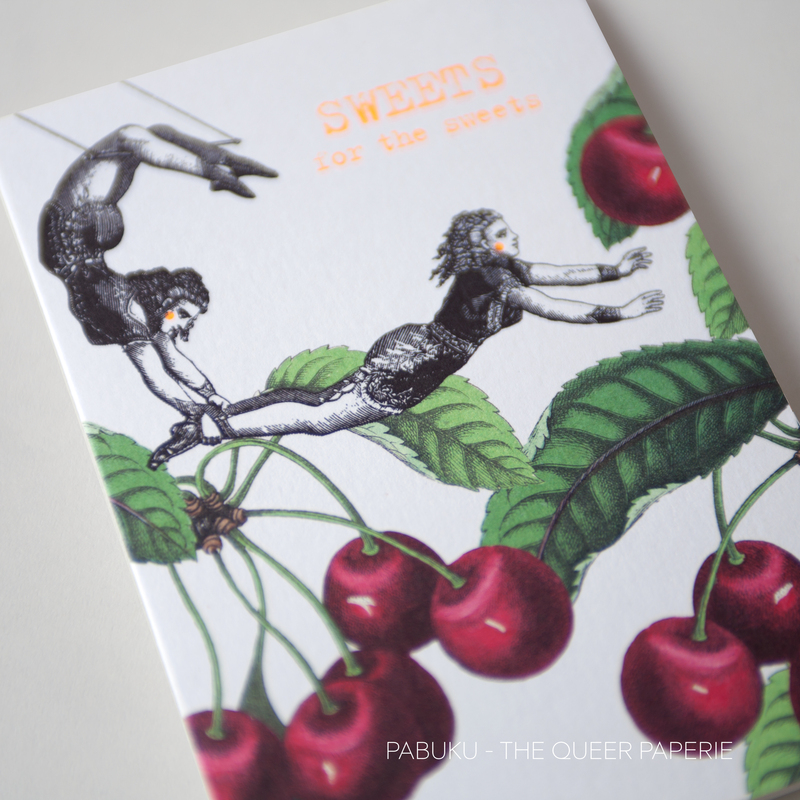 The important thing is that they like cherries! 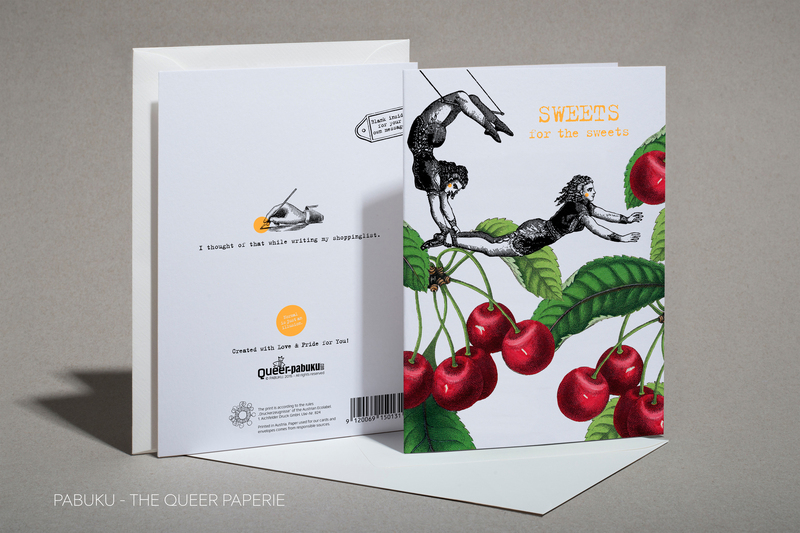  Backside: „I thought of that while writing my shoppinglist.“ (plus a prime black & white illustration).